outdoor Sports Products for three years,including knee brace,cycling gloves,waist bag and so on. every outdoor sports enthusiast so that they can devote themselves fully to sports. ▶SUPERIOR MATERIAL:1.Made from oxford waterproof fabric which is durable, sturdy and super lightweight.2.Adopts high quality metal zippers,easy to slide and working smoothly.3.With a breathable mesh lumbar padding at the back,wearing comfortable, effectively alleviate the pressure of the waist. ▶LARGE CAPACITY: With a main zipper pocket,a front zipper pocket ,main zipper section contains 1 inner zipper pocket.The main pocket can be placed water bottle,parasol(10.6 inches/27 cm) or a power bank;front pockets can hold cards, keys, cashes,iphone, etc;a small hidden zipper compartment inside the main pocket perfect for your valuables for extra security. ▶ADJUSTABLE STRAP:The strap can be extended to the maximum perimeter of 45 inches,so this fanny bag fit for most people and can be carried like a chest bag or a waist bag, either just hanging from your shoulder or as a cross body bag with the comfortable adjustable long strap. ▶MULTIFUNTION USE: This pack is simple and fashionable,suitable for traveling, camping, fishing, shopping, running, climbing, hiking, cycling, hunting,gym,festivals, concerts, activities, performances, amusement park, farmers markets also great gift for your families,lovers,friends. ▶WARRANTY AND SERVICE:We're so confident in the quality of our products,we do hope you love it ,but if for any reason you are unsatisfied, you just simply contact us ,we will get back to you within 10 hours.You don't worry,we offer 100% money back guarantee,you will risk absolutely nothing to get it! If you have any questions about this product by AOHAN, contact us by completing and submitting the form below. If you are looking for a specif part number, please include it with your message. ⚡New Waterproof Running Belt Fanny Pack for iPhone 6, 7, X, 8, 8 Plus and Android Samsung S7/8/9 - W/Touchscreen Window - IPX8 Rated Waist Bag for Fitness, Travel, Beach, Kayaking, Fishing and more! 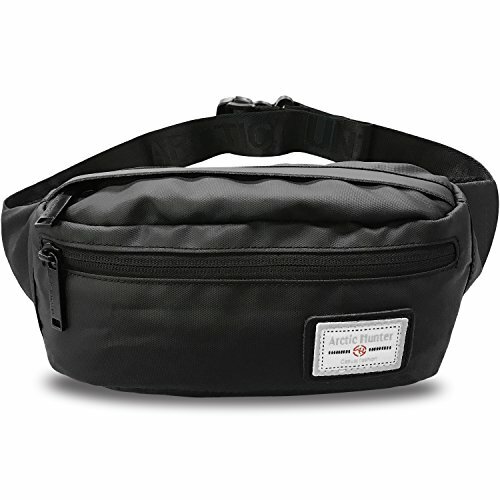 Money Belt for Travel with Security Hidden RFID Waist Pouch.